Love this! Wonderful large Photographic shop display window piece. 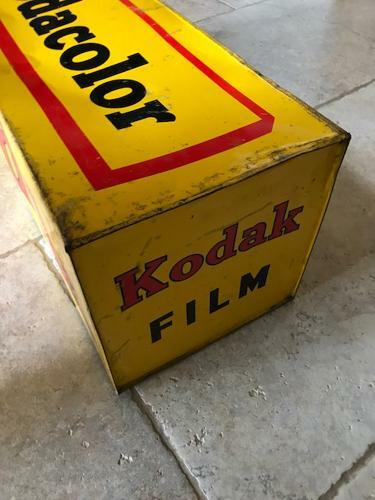 Made from enamelled tin so the colours are really good it says KODAK on alternate sides with KODACOLOR on the others. Overall condition pretty good, please see pics.